In case you are unfamiliar with FCBD, on the first Saturday in May, you and everyone you know, can go to your local comic shop and they will have a selection of comics that are FREE (most stores limit how many each person gets). The comic shops buy these comics, specially printed (and in some cases with content created specifically for) FCBD at print cost and then use it to spread goodwill about the artform of telling stories with words AND pictures panel by panel. 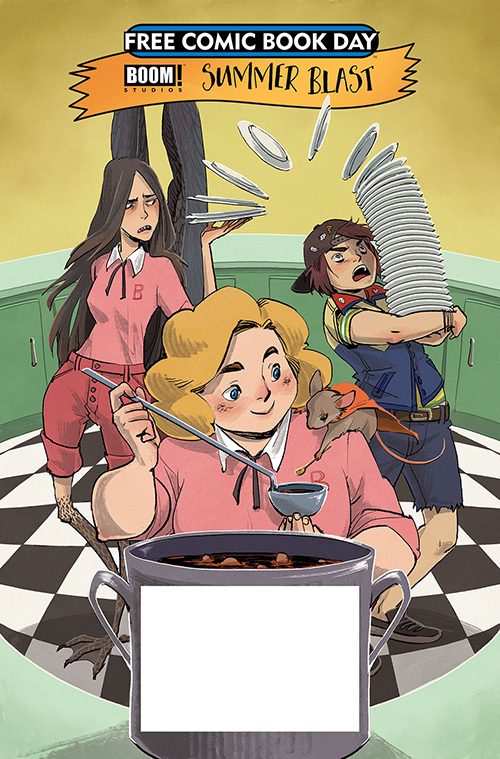 I have a new Mouse Guard short story in the BOOM! Summer Blast issue. 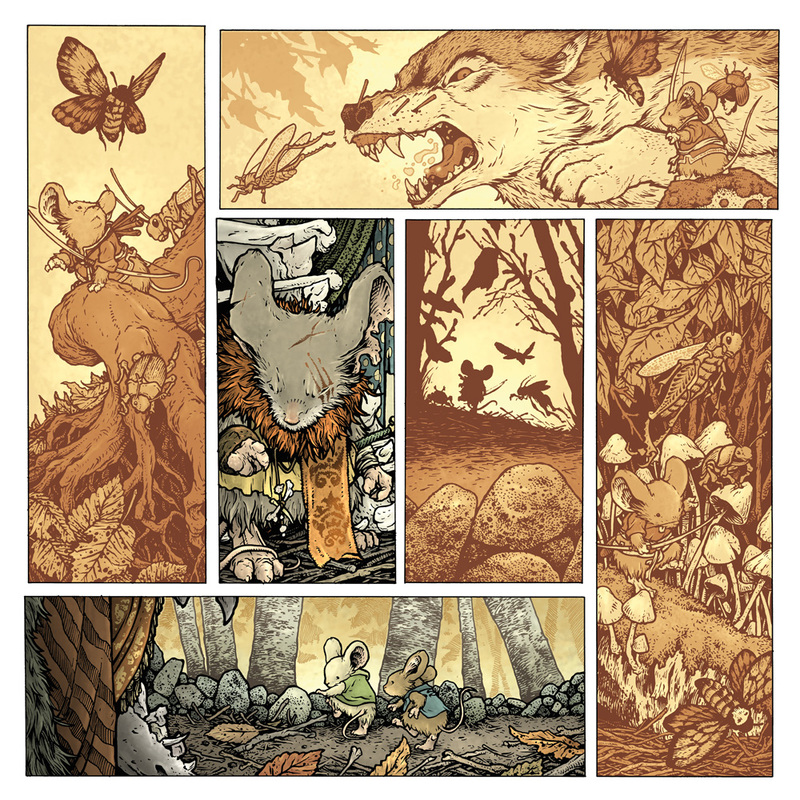 This story is 8 pages long, and like my past 6 years of FCBD stories, features a folk-tale/parable that ties into a lesson a member of the Mouse Guard learned. This year's offering is titled "The Tale of the Wild Wolf" and you can see some teaser panels to the right. While stores nation-wide will have the BOOM! Summer Blast book with my new Mouse Guard story inside, I will specifically be at ISOTOPE: The Comic Book Lounge in San Francisco, CA signing books (anything a fan places in front of me that I've worked on) and in the afternoon delivering a talk about Mouse Guard. That evening ISOTOPE will host a Mouse Guard cocktail hour. So if you are in the SF area, please come out for what is sure to be a great event celebrating the artform of comics. If you already know about FCBD and have people in your life that DON'T read comics, take them to your local store's event and help them find something they might like. I truly believe that there is a comic out there for every person regardless of age, gender, interests, etc. 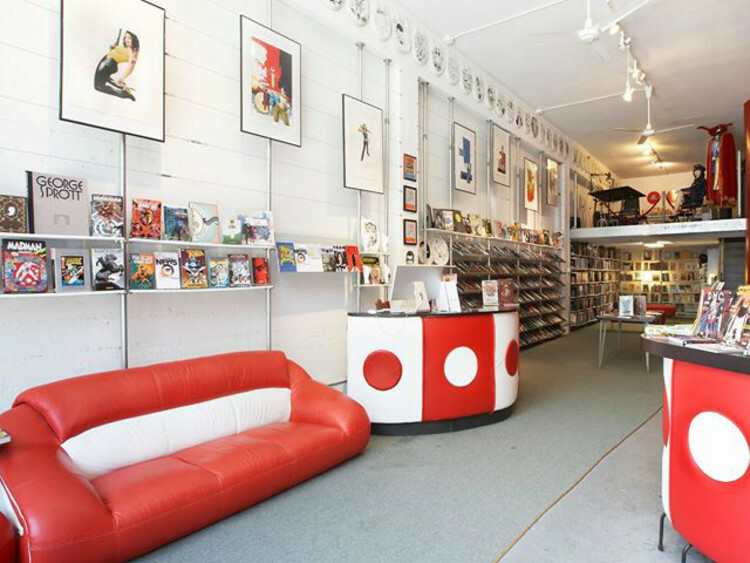 Also, please consider purchasing something from the store you visit in addition to picking up some free issues. Something for yourself you'd already planned to get, something for that non-comic reader that fits their tastes, or something you already enjoy but plan to donate to your local library. I have only very recently discovered your beautiful world of Mouse Guard. It has brought me back to my childhood and that sense of wonder I had back then. I am quite grateful for that. 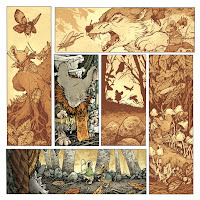 That being said, I have been on a mission to aquire all the Mouse Guard stories I can find. I managed to find vendors and purchase all of the FCBD issues for 2010 thru 2017 but haven't found anything for 2018. 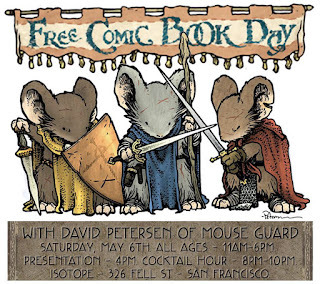 Did you release a FCBD Mouse Guard story in 2018? I have done quite bit of searching but have found nothing.